In 2017 there was 60 Years Celebration of the Department Foundation. It was organized on the basis of the decision of the Presidium of the Academy of Sciences of the UkrSSR on May 10, 1957. The new academic department of the work processes of thermal engines, originally located on the territory of Kharkiv Turbine Plant (currently PJSC Turboatom), was focused to carry out research in the field of turbine construction. The first employees of the department were the engineer A. A. Palagin, technician S. F. Bleher and Chief Engineer E. G. Oleynikov, who until 1968 was Deputy Head. After series of transformations it was renamed into Department of Optimization of Processes and Designs of Turbomachines at the Institute of Mechanical Engineering Problems of the National Academy of Sciences of Ukraine, which since its foundation and in 1991 headed the Doctor of Technical Sciences, Hero of Socialist Labor, the laureate of the State Prize of the USSR, academician of the Academy of Sciences of the UkrSSR L. O. Shubenko-Shubin. 1991-1996 the Department was headed by Doctor of Technical Sciences, Professor A. 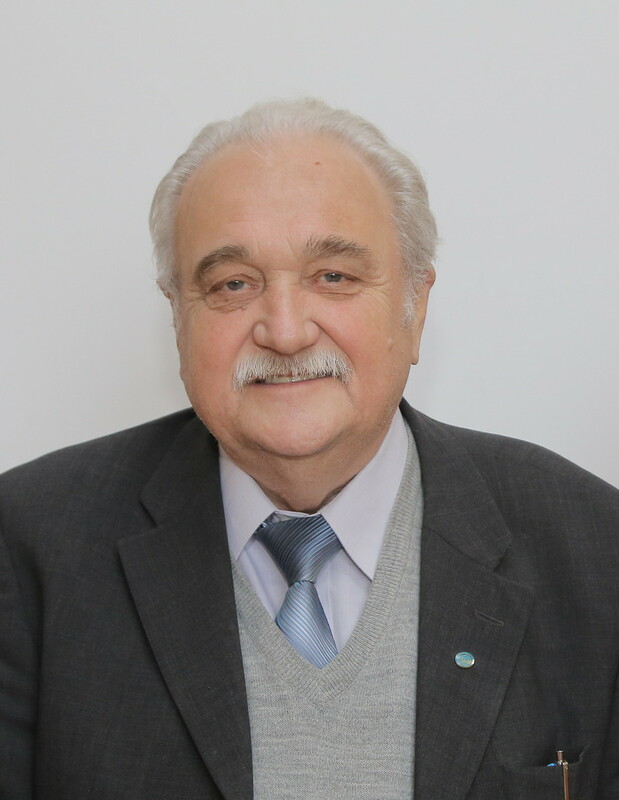 A. Palagin and since 1996 – Doctor of Technical Sciences, Professor O. L. Shubenko, who in 2009 was elected a Corresponding Member of the National Academy of Sciences of Ukraine. At the first stage of the Department’s task was to study the main factors limiting the further increase of unit capacity, efficiency and reliability of turbine units. Research on the improvement of thermal circuits (TC), improving the efficiency and reliability of the flow part (FP) (especially on the last stage), as well as the development and implementation of efficient turbine cooling systems were carried out in order to increase the initial parameters of the working media with the predominant use of already mastered materials. The obtained results were also reflected in the master’s theses, which were defended at first in the department by D. A. Pereverzev (1963) and V. F. Poznahiriev (1964). – on the organization of the mutual thermal movements of parts of the rotor and stator in STP and gas turbine plants (GTP), as well as control systems for these displacements. The results of these studies were introduced at the creation of turbines S. M. Kirov Kharkiv Tractor Plant with the capacity of 300 and 500 thousand kW of type K-300-240 and K-500-240, as well as the turbine SKR-100 with a capacity of 100 thousand kW with record initial parameters of steam (300 atm, 650 ºС), 70 and 220 thousand kW and so on. At the same time, the system of standard programs for determining the thermogasdynamic properties of water and water vapor, which opened the possibility of widespread use of computers in the design of steam turbine plants, was first developed and widely introduced in the UkrSSR. Further development of work in the field of turbine-building contributed to the formation in 1973 of one of the main scientific trends of the Institute “Optimization of thermal processes and elements of structures of turbines for power stations on nuclear and organic fuels with mathematical and physical modeling”, which was headed by academician L. O. Shubenko-Shubin. Scientific activity was carried out in two aspects: fundamental development of the basics of machine design of optimal structures of vocational schools; Realization of these developments in the form of human-machine complexes – packages of applied programs and systems of automated design (SAD) for the creation and research of elements and nodes turboinstallations. – from the complex solution of the problems of controlling the thermal state and analysis of the temperature fields of the turbine units in order to increase their reliability and maneuverability (The results are implemented on the S. M. Kirov Kharkiv Tractor Plant). Calculation-experimental researches were also carried out on the development of a method for quantitative assessment of the reliability of case elements of the type of compensators in the re-static load, which created the prerequisite for optimal design of these elements, taking into account the real conditions of loading (an automated system was developed and implemented on the S. M. Kirov Kharkiv Tractor Plant measurements and processing of experimental data of strain-gauge tests of constructions with static and re-static loading). On the basis of these works, the first scientific school in the USSR was created to optimize the processes and structures of turbomachines and automate their design. The coordination of the works was carried out by the Ukrainian branch of the Scientific Council of the USSR Academy of Sciences on complex energy problems and the Scientific Council of the Academy of Sciences of the UkrSSR on the problem of “Power Engineering” headed by Academician of the Academy of Sciences of the USSR L. O. Shubenko-Shubin. The department made a significant contribution to the development and organization of design and research works in the field of power turbine construction by methods of mathematical modeling. Scientific and technical conferences in the fames of USSR on mathematical modeling of processes and structures of turbomachines were held once every three years since 1976 as recognition of contribution of the Institute. At present, an international scientific and technical conference “Improvement of power systems by methods of mathematical and physical modeling” is held once every two years. There were 7 Candidates of Sciences in the department of 1970s (A. A. Palagin, V. F. Vakchikov, D. A. Pereverzev, A. I. Kartsev, F. A. Stoyanov, O. L. Shubenko, A. O. Tarelin). Around them formed the main working groups and finally formed the above-mentioned scientific school. 30-35 people worked at the department that time. In 1978-1979 two new Candidates of Sciences defended their works: O. M. Golovchenko and V. O. Kostrikkin. In 1978, from the staff of the department at “Kharkivenergo”, a laboratory was organized whose main task was to widely use the methods and tools developed by the department to improve the functioning of equipment of power plants. Since 2000, the staff of the department trained 12 Candidates of Technical Sciences and three Doctors of Technical Sciences. c) development of techniques and research on the choice of rational configuration of the turbine flow part and its elements. II. Development of scientific foundations for the creation of energy saving technologies based on the use of low-power steam turbines, including on alternative working bodies. III. The use of radio wave methods for research and diagnostics of work processes in steam turbine plants.